She was one of the first congressional candidates this year to earn an endorsement from Bernie Sanders. Reactionary Republicans must be removed and cautious Democrats must be replaced with outside-inside activists who understand how to make the connection between movements and policies. In this volatile election year, there are no guarantees with regard to presidential or congressional politics. But there are encouraging signs from across the country. Donald Trump’s Republican presidential run seems to be imploding and congressional Republicans who have aided and abetted his candidacy are beginning to abandon the sinking ship—opening up the possibility that Democrats could make real gains not just in the fight for control of the Senate but into the struggle to retake the House. And a number of the Democrats who are being nominated for the House are progressives who really could change the chamber and the country. Civil rights and voting rights champion Jamie Raskin—a brilliant constitutional scholar and state legislator—is a clear front-runner to win an open seat in Maryland. Anti-corruption and anti-monopoly campaigner Zephyr Teachout has a real chance to take a Republican-held seat representing New York. And Pramila Jayapal is finishing well ahead in a primary to fill an open seat representing the state of Washington. Pramila Jayapal is an immigrant-rights advocate who blends movement ideals with legislative skills. “We’re building a movement that can clearly stake out a positive vision for the future of America at a time when too many people feel cynical about change, and when too many people are struggling to make ends meet and put food on the table,” declared Jayapal, who was an outspoken activist before her 2014 election as a Washington state senator. "When you think of the political revolution, I want you to think about Pramila." -- Bernie Sanders. “When you think of the political revolution, I want you to think about Pramila,” added Sanders. 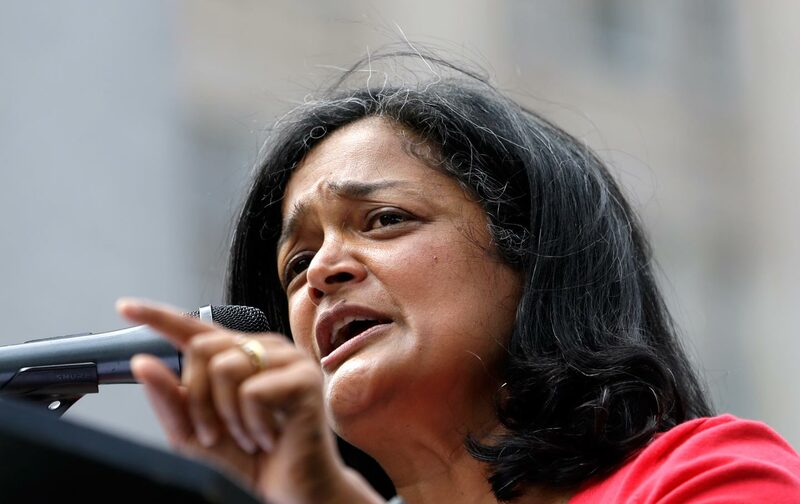 In addition to the Sanders endorsement, Jayapal ran with the backing of major unions, environmental activists and reproductive rights groups—as well as national organizations such as the Progressive Change Campaign Committee, MoveOn and Democracy for America.